On an album about physics, this is obviously a reference to the Uncertainty Principle which is the limit to the precision of which the location and momentum of a particle can be known simultaneously. This tune was intended to explore the concept of having to make important decisions in life with only limited knowledge. It seems like some of the most important decisions have critical variables that lie outside of our control. These elements of uncertainty obviously contribute to the criticality of the decisions. Research and analysis are important. They are factored into the decision. But sometimes, there is merit to also listening to intuition, and resisting the urge to over-think matters. Certainty is a luxury that may not always present itself. My ramblings are insignificant. 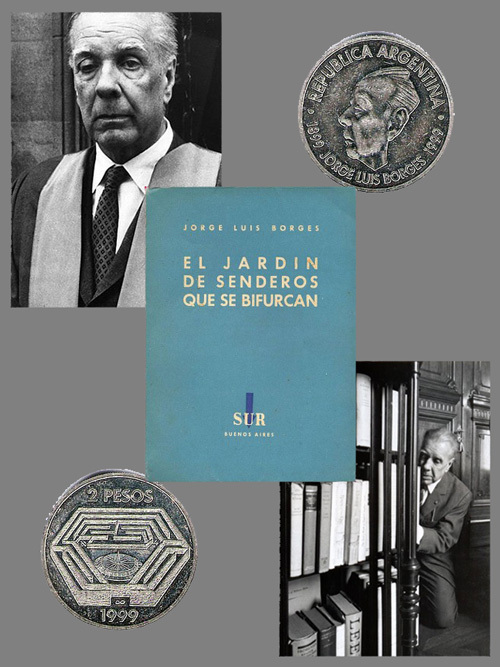 Shown in the graphic, is the master, Borges. He discusses variability, possibility, and infinity like no one else does. This tune was probably written sometime in the late-90's. It was quite a bit more plain in its original form. In the recent re-mix, I added a bit more depth using a heavier drum track, some electronics, and guitar volume.